G.P. Putnam's Sons Books for Young Readers, 9780399251672, 96pp. Posey is really nervous about starting first grade. Instead of getting walked to her classroom, her mom has to drop her off at the Kiss-and-Go Lane. Then she'll have to walk into school and face the Monster of the Blue Hall all by herself. Worst of all, she has to do it without the one thing that always makes her feel brave and special: the tutu that turns her into the Pink Princess. But when Posey inspires her new teacher to throw a first-day parade in which all the kids are invited to wear whatever makes them feel the most comfortable, first grade starts to look a lot more promising. 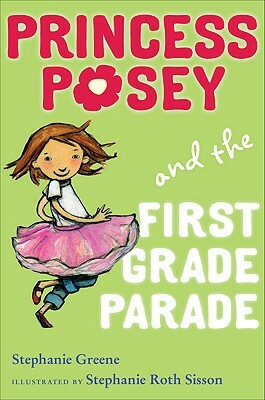 Posey will charm readers just graduating from easy-to-reads (and from kindergarten). Make reading sparkle with all of the Princess Posey chapter books! Stephanie Greene is the author of the popular Owen Foote books. She lives in Chapel Hill, North Carolina. Stephanie Roth Sisson lives in California.